At 10 PM on December 31, 2013 I finished my 104th book of 2013, achieving my ambitious reading goals for the seventh straight year. My life continues to be enriched beyond my expectations because of a decision I made seven years ago to read a book each week. Three years later, it became two books per week. I’ve toyed with upping it to three each week but if the goal is too arduous, it may no longer appeal and I am sure to flounder. I’m shooting for 1000 books in ten years, which means I have just over three years to read 422 books. I’ll give it a go and see what happens. 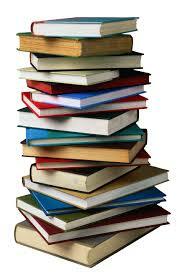 In the short-term I plan to read 22 books in January 2014, to reach an even 600. Let me tell you about the last 104 (in 2013) of the 578 books I read from January 2007 to December 2013. In past years I have read about 50% fiction and 50% non-fiction. This year fiction accounted for only 30% of my reading. Another 25% are particular to business and marketing. A significant number are health related. At the beginning of 2013 I set out to read some important works, including The Holy Bible, The Holy Quran and The Book of Mormon. I was intrigued to see for myself what these influential books had to say. I was surprised by the Quran’s early references to respecting Jews and those who follow Jesus, leaving me to wonder from where the “kill the infidel” mentality comes. In an unusual move, I finally abandoned the Book of Mormon after reading 60% of it. I could no longer force my eyes to look at words that carried no real meaning or purpose. I actually avoided books for a month because I dreaded getting back to The Book of Mormon. I wonder how many of my Mormon friends have read it cover to cover. For the record, it is just the second book I’ve abandoned in seven years. I read some great titles suggested by my book club, including A House in the Sky by Amanda Lindhout, a woman from my hometown, on her kidnapping and confinement in Somalia for over a year. Many of the best books I read this year were about speaking and writing, as I continually hone those skills. Paid to Speak (various authors) was a real gem. I recommend it for everyone, not just speakers. A friend loaned me Writing Down the Bones, by Natalie Goldberg, and The Right to Write, by Julia Cameron. I plan to buy copies for myself. Coveting it for my own library is a sure sign of a book’s value. I read 16 books on my nine-day vacation to the cottage, catching up on some classics like The Secret Garden and re-reading Heidi, a book I enjoyed reading when I was eight years old. Many of the classic titles are available for free online and they’re easy to carry in your favourite electronic device, perfect for vacations. I love paper books but e-books have their uses. On another week vacation, I read ten books including some John Grisham novels. I enjoyed them well enough but I won’t seek more of his work. I read some light stuff like The Sisters Brothers by Canadian author Patrick de Witt and The 100 Year-Old Man who Climbed out the Window and Disappeared by Jonas Jonasson. My reading habit sparks interesting conversations wherever I go. People love to tell me about their favourite reads. My to-read list has over 400 titles on it. As I lop off one, other readers suggest another two or three to add to the list. Reading so much makes me appear to be educated. I suppose I am but I don’t have the piece of paper to verify that I know stuff. No matter. It’s the knowledge and experience I crave, not the recognition. Reading more does require different behaviour. I always carry a book with me as I encounter many stolen moments to read each day. I estimate that I read a book a month, simply waiting: in lines, for appointments, and for lunch dates or the school bus to arrive. Waiting for and on planes is like winning the reading lottery! I have several books on the go at any given moment. This prevents “reader’s block”, moments when diving into a technical book doesn’t appeal but a good mystery would hit the spot. I also use technology by sourcing and reading books online. I set specific times to read, like first thing in the morning, before my day bulldozes me into an unexpected direction. I also read before bed, a great way to quiet the mind and wind down for sleep. Of course my TV viewing habits are different from others and I rarely see a movie. But I don’t feel the least bit deprived. My world is far richer and more satisfying than if I were mesmerized by mind-numbing so-called reality shows. My book expenditures are amazingly sparse. I buy a few new ones (usually with gift cards) and a stack or two of used books each year. The rest are borrowed or gifted. I’ve learned to pass on books to others quickly. The more I give away, it seems, the more I receive. When I started this journey I had no idea what I would experience. I wouldn’t have missed it for anything. I encourage you to set goals to read more books. It doesn’t have to be two per week. It could be one per month. I guarantee it will change your life for the better. Happy Reading in 2014. Please recommend your favourite books.